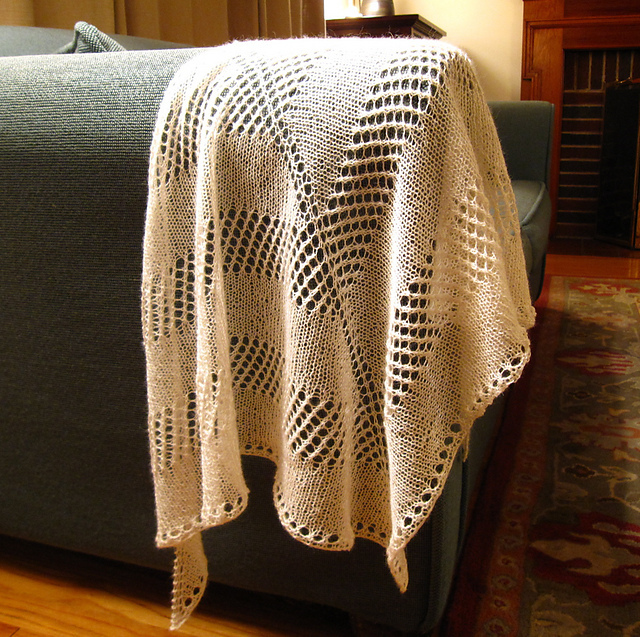 Time for our Weekend Ravelry Roundup...Today we have two shawls (Cold Mountain from Knitty and Lavalette from Kirsten Kapur) in Silky Alpaca Lace, a child's Owl Sweater from a classic knitting book in our season-appropriate Portland Tweed, the Middlefield Pullover from New England Knits in Kumara, an aran-designated yarn whose light feel belies its weighty gauge, and a Feather and Fan Cardigan from Make it Modern in Wool Bam Boo that was originally designed in Soft Linen. 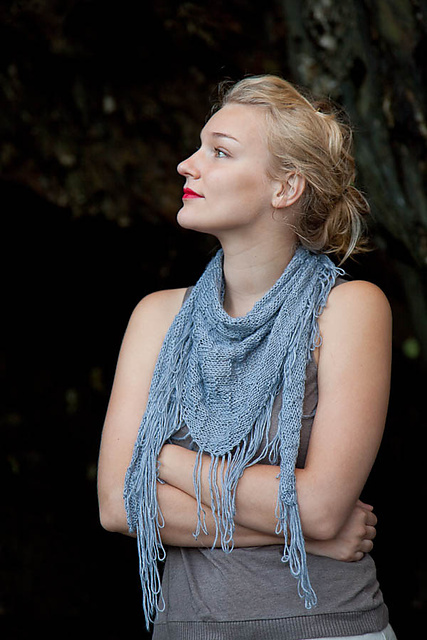 Hedwyer's Cold Mountain Shawl knit in Silky Alpaca Lace. 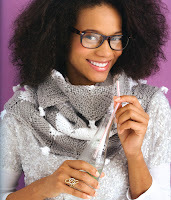 Laughingstar's Lavalette knit in Silky Alpaca Lace. 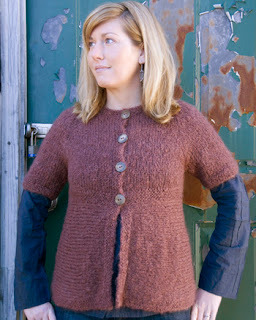 Froosh's Owl Sweater, knit in Portland Tweed. 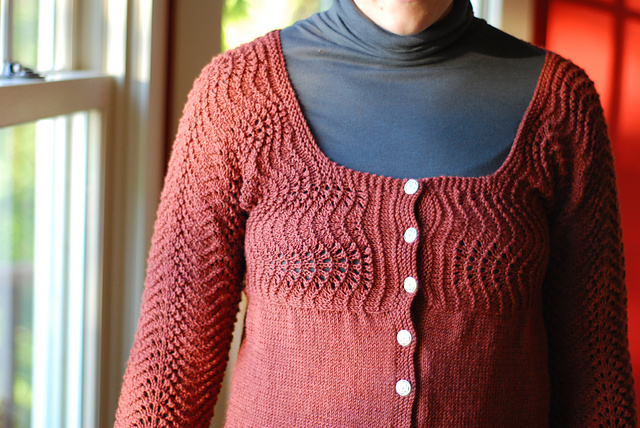 ChrisRKnit's Middlefield Pullover, knit in Kumara. HeatherMPeterson's Feather and Fan Cardigan, knit in Wool Bam Boo. WIP it! 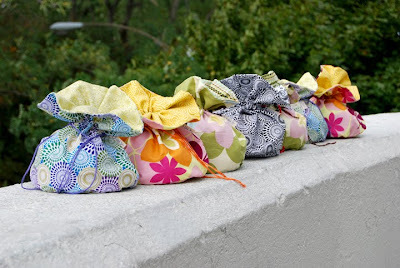 Project Bags from Classic Elite! 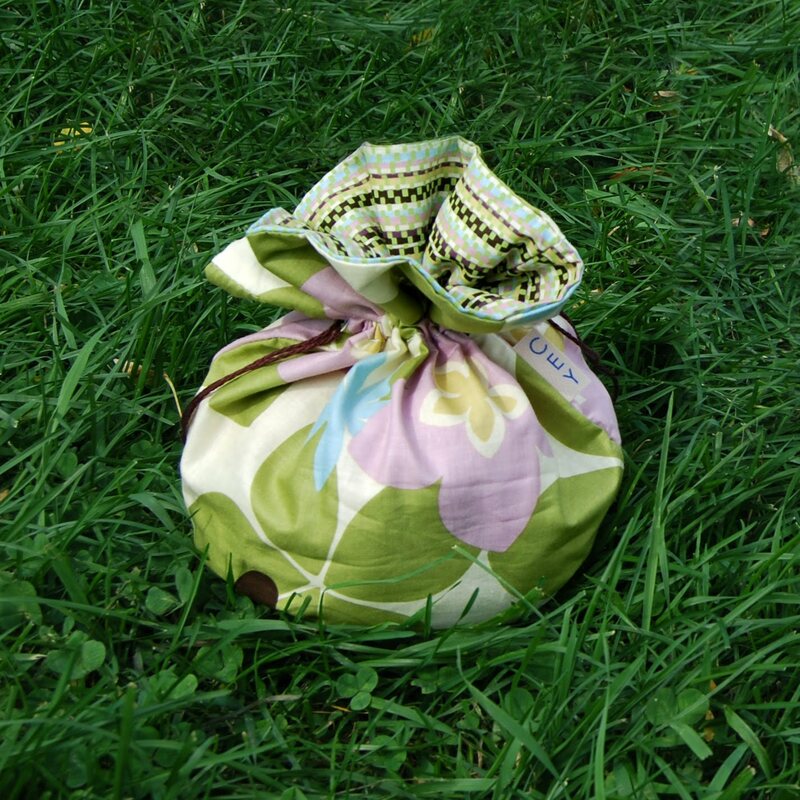 These awesome Blossom Project Bags are now available from Classic Elite! They are made right here in Lowell, Massachusetts and come in a selection of bright coordinating prints. 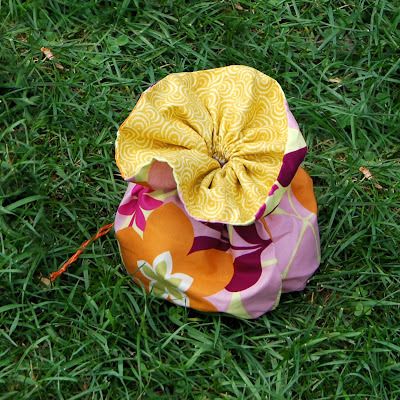 Lucky Heather, our sales manager, had boxes filled with bolts of colorful fabrics in her office all last month. There's only so much fabric we can fit in there, so the prints and patterns are subject to change, but they're all fun and super-colorful! The round bottom means they stand straight up without flopping over. 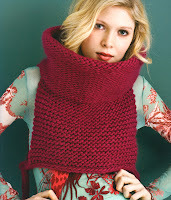 Perfectly portable, these are just the right size for projects on circular needles or small double-points. A pair of socks perhaps? Maybe a hat or a pair of fingerless gloves? Did I mention they make great gifts? Try filling them with yarn (or anything else you want, they make excellent reusable gift bags) and gifting them to your crafty friends. If you don't see these at your local shop, just ask for them! 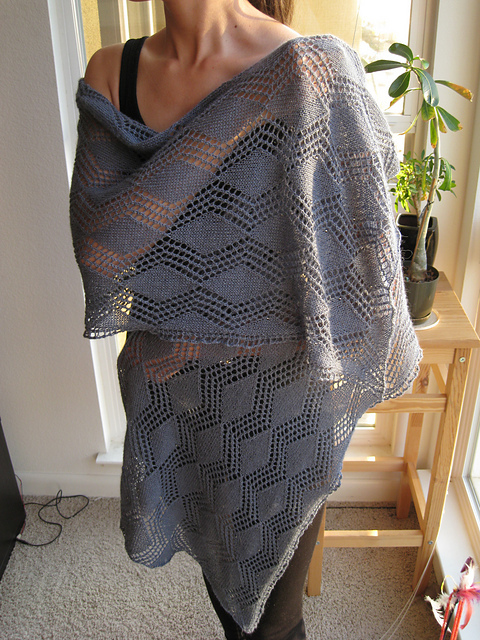 I'll never forget my first LYS experience...I wanted something to do on a weekend at the lake, and my friend Amy offered to teach me how to knit. The first thing we did was drive to the nearest LYS, it was a tiny shop in the next town with walls packed floor-to-ceiling with yarn. I was completely overwhelmed, and to be honest, didn't understand the zeal exhibited by the woman behind the counter (the owner I soon found out). 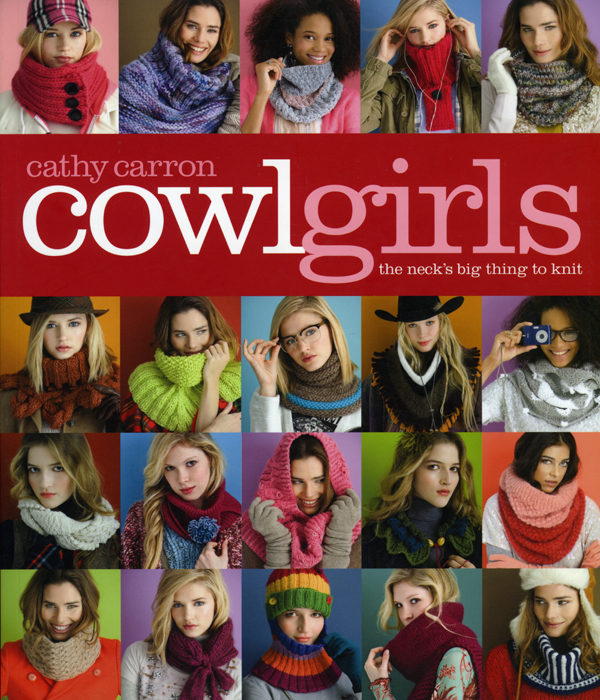 After deciding to start with a scarf, she pressed a pattern book into my hands, and clutching my arm, said with a shudder, "The scarves in this book give me chills!" Going to that shop immediately became tradition. 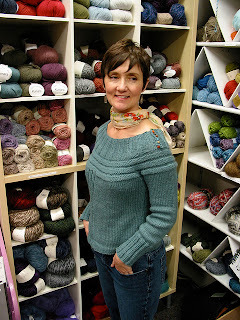 I never once went to the lake without stopping there to talk, learn, and take a big whiff of that woman's obsessive, almost scary passion for fibers. I would love to see her today and tell her how far I've come. Sadly, that shop closed last summer. Now that I work at an LYS myself, I try to pay her lessons forward. 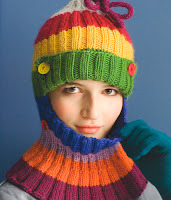 We educate a new generation of crafters with Kids Camps and birthday parties, we provide help and encouragement to new knitters, and we are a shoulder to lean on during knitting and non-knitting emergencies, we are a meeting place for our community. Where would any of us be without our LYS? I know I wouldn't have even known my own creativity, and I certainly wouldn't be writing this love letter today. Classic Elite wants to give back to the men and women who risk it all to follow their dreams, open yarn shops and keep them open in these changing and challenging times. In fact, we have so much faith in those dreams that we want to give everyone a present. 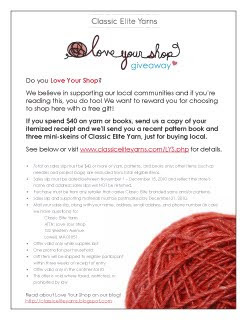 Between now and December 15th, spend $40 or more on yarn or books at any CEY retailer in the continental US and send us your receipts. 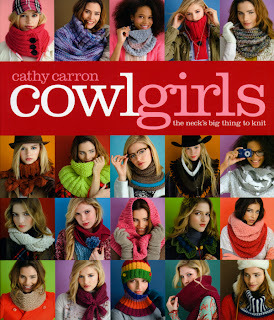 We will send you a free recent pattern book and three mini-skeins! It's our "thank you" to all the knitters and crocheters who recognize the value of supporting our local knitting communities. Please see our website for rules and instructions on how to receive your gift. If you think your Local Yarn Shop should be involved, click the Download button below to print your own Love Your Shop flyer for display! 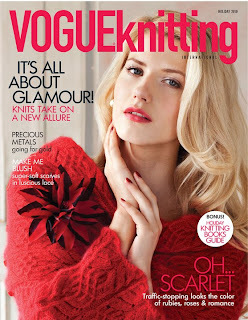 Classic Elite has three projects in Vogue Knitting Holiday 2010, on sale today! All photos are by Rose Callahan and appear here courtesy of Vogue Knitting. 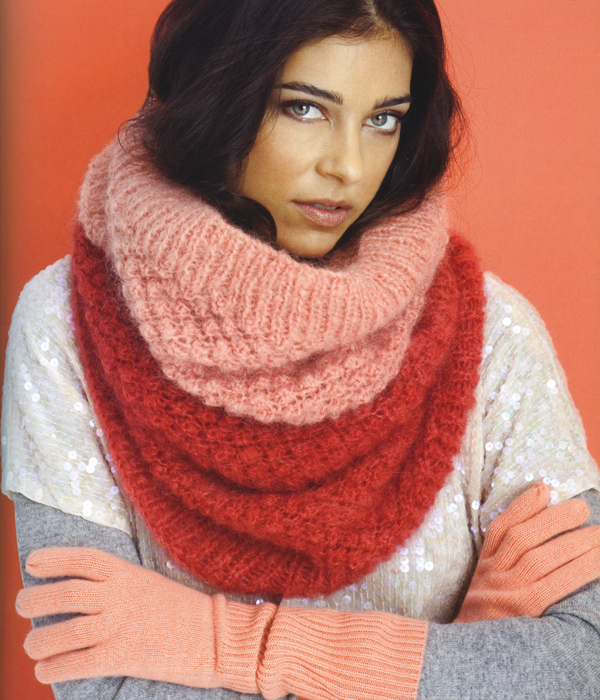 First is a gorgeous cowl by by Vladimir Teriokhin (remember the stunning red sweater coat modeled by Paulina Porizkova on the cover of Holiday 2007? That's him too!) 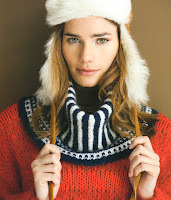 knitted in Woodland from our Verde Collection. Next is a convertible top also designed by Vladimir Teriokhin and knit in our ever-popular Giselle. 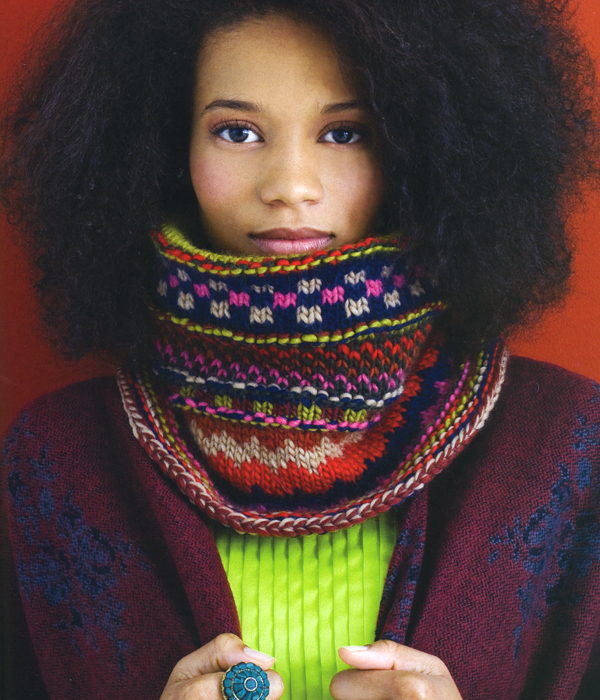 View the Vogue360 video for all the different ways you can wear it! 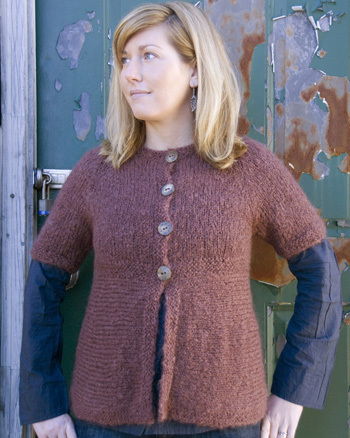 Lastly, a short-sleeved top designed by Susan Haviland in a new Fall yarn, Magnolia, a luscious merino and silk blend that gleams with a subtle luster and comes in a palette of sophisticated soft tones.